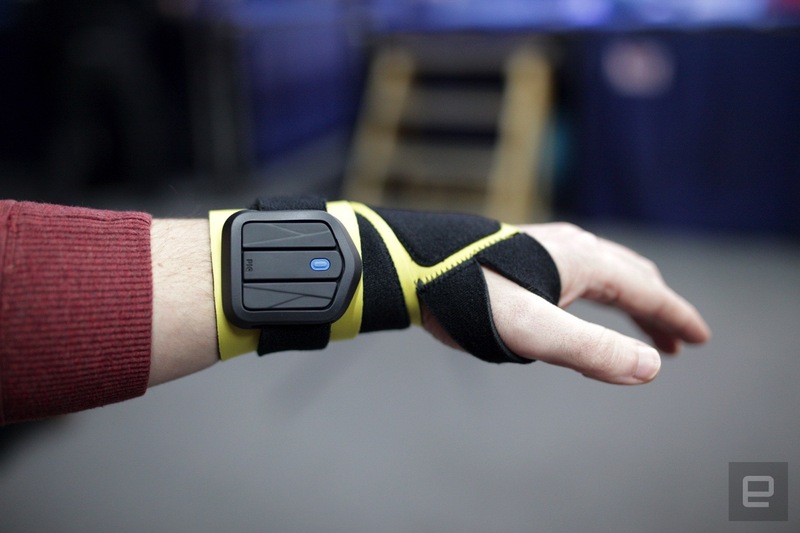 The wrist-worn wearable can track speed and impact, as well as identify your best punches. On the outside I'm a questionably healthy tech journalist. On the inside I'm a prizefighter. At least that's what I like to tell myself. So obviously my curiosity was aroused when I heard that PIQ and Everlast had teamed up to combine two of my favorite things: data and boxing. The companies are preparing to unleash what they say is the first AI-powered wearable for combat sports. The heart of the system is the PIQ Robot Blue, which is simply a cheaper version of the same sensor it uses in its other devices designed for tennis, golf and skiing. And that little "nano computer," as PIQ insists on referring to it, is loaded to the gills with multiple accelerometers, a gyroscope and other bits for tracking your motions. To process all the raw data, PIQ has GAIA, an artificial intelligence system that can learn to identify and quantify sports performance. By strapping the Robot to top fighters (to whom PIQ has access through its partnership with Everlast), GAIA not only can learn how to identify a jab and an uppercut, but can tell the difference between a knockout blow and the sloppy swing of an amateur. To demo the new wearable, PIQ and Everlast lured a few journalists from the chaos of the Las Vegas Convention Center and out to the Top Rank Gym, home to countless legends and current stars of the sweet science, including Manny Pacquiao and Muhammad Ali. For their CES press event they enlisted the help of up-and-comer Francisco "El Alacrán" Esparza Jr. He strapped on the sensors and did a few minutes of intense mitt work to demonstrate how the Robot can measure punch speed, number of punches, impact (in g's), intensity and total time. As he threw his punches, a display set up alongside the ring ticked off the type of punch and the speed of each one. The feedback wasn't instantaneous, but it was close enough. PIQ then showed off how GAIA was able to identify traits like Esparza's 19-g left uppercut and suggest he throw the punch more often to increase his chances of success. The strap the sensor lives in is short, so it can't serve as a primary hand wrap. Instead it's meant to go over your hand wraps or even your gloves. The straps are also ambidextrous, so you can strap it on either hand without worrying about identifying left or right. Unfortunately, this is also a perfect excuse for PIQ and Everlast to try and milk every penny out of the product. Because, while the $99 price sounds surprisingly accessible, it only gets you one strap and one Robot. If you really want the full experience -- you know, the pretty crucial ability to track punches with both hands -- you'll have to pony up roughly $200 for a pair. Of course, the units also have some limitations. While they're useful for serious athletes, both Everlast and PIQ were clear that their partnership was geared toward those pursuing combat sports -- not as a career, but as exercise. The sensor and strap are only really supposed to be used for shadow boxing, heavy bag work, mitt work and light sparring; they were never meant to be worn in the ring during an actual bout. The companion app offers plenty of data but, given that this is a consumer product, it also has its fair share of social features. You can post workouts and other information to your social networks, but more interesting is the leader boards. Friends can compete against each other for hardest punch or longest workout, but they can also measure themselves against a global network of PIQ users, including pro boxers who have sponsorship deals with Everlast. Sadly, there wasn't much of an opportunity to test out the sensors for ourselves. 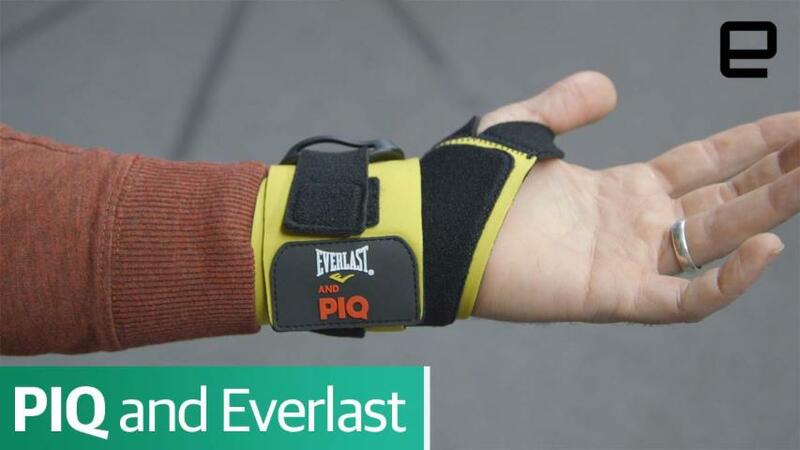 We'll have to wait until the Everlast- and PIQ-branded boxing sensors hit shelves, which should happen by early March.